Scoby Hotel save your backup cultures and keep your brew going. Every time a batch of kombucha tea is made, a new kombucha culture (mushroom) grows! We recommend that you save the new cultures (babies) in a glass jar with about 1 cup of kombucha starter tea and 3 cups of distilled water. Next, cover the jar with a cloth and a rubber band, just as you would with your kombucha brew. 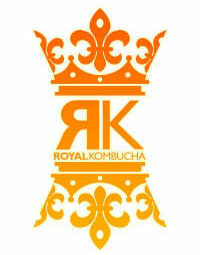 If at any time you have any questions about kombucha, give us a call or send us an email! Organic teas are grown in unstable environments and may contain contaminants. Most organic sugars are unprocessed and contain small particulates that can ruin your brew. Residue from anti-bacterial soaps can be harmful to your kombucha since it is a beneficial bacteria. You can use anti-bacterial soaps but be sure to rinse out your vessel well. Make sure to rinse with hot water until squeaky clean. Tap Water, Filtered, Spring, Reverse Osmosis, Etc. Waters other than distilled water contain chlorine and trace minerals which may cause mold. Using these other types of water present a small chance it will grow mold. Keep in mind that about 5% of batches made with organic ingredients and distilled water become contaminated. Approximately 10% of kombucha brews made with filtered water grow green, white, or black mold. Almost all batches of kombucha tea made with tap water go bad. Treat your scoby hotel as you would treat your kombucha brew. Be sure to keep your backup container in a room temperature environment and always away from sunlight. Check on them every few weeks to see that they are properly hydrated. It is important to make sure they don’t dry out. Over time the hotel will lose a bit of liquid due to evaporation. When this happens, simply add a little distilled water to the container. Keep your babies happy! 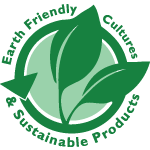 Follow this link to learn more about symbiotic cultures of yeast and bacteria aka SCOBY. 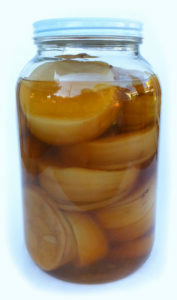 Kombucha Cultures can last over a year if kept in the right environment. It’s a good idea to keep adding backup cultures to your SCOBY hotel, throwing out the older or brownish ones as your collection grows!